Buying flapjacks, look no further our high quality flapjack range wont disappoint. We offer five deliciously wholesome granola / flapjack bars. Our plain flapjacks a glorious combination of pure butter with soft brown sugar and healthy jumbo oat flakes. Classic Style & Taste. 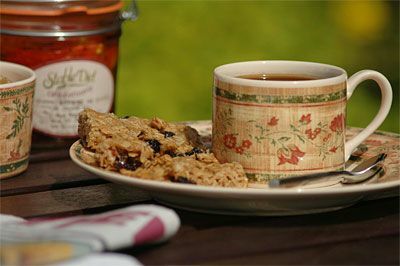 Our fruit flapjack Full of flavour and texture with the inclusion of our special blend of fruits. Our milk chocolate Flapjack - Original plain flapjack generously smothered in a thick layer of high quality milk chocolate. Our dark chocolate flapjack - Original plain flapjack smothered in a thick layer of quality dark chocolate. And finally our Miracle Munch granola bar a delicious snack filled with oats, nuts, seeds and our special trail mix. Our flapjack range are all wheat-free and are a healthy and wholesome snack or treat any time during your day. Our flapjacks wont disappoint, delicious as food should be. We at Stable Diet only us the finest natural ingredients in our granola and our flapjacks. Our flapjacks are available to buy online from our website, cafe in Wexford Town or from our bakery in Broadway, Wexford, Ireland. Contains Oates & Milk products. May contain traces of nuts or seeds. Store in cool, dry place and away from strong odours.